Frittata is one of my favorite ‘use up what you’ have recipes. 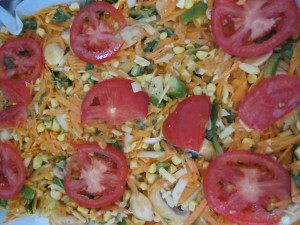 We try and incorporate a vegetarian dinner at least once a week and this one often makes the cut. 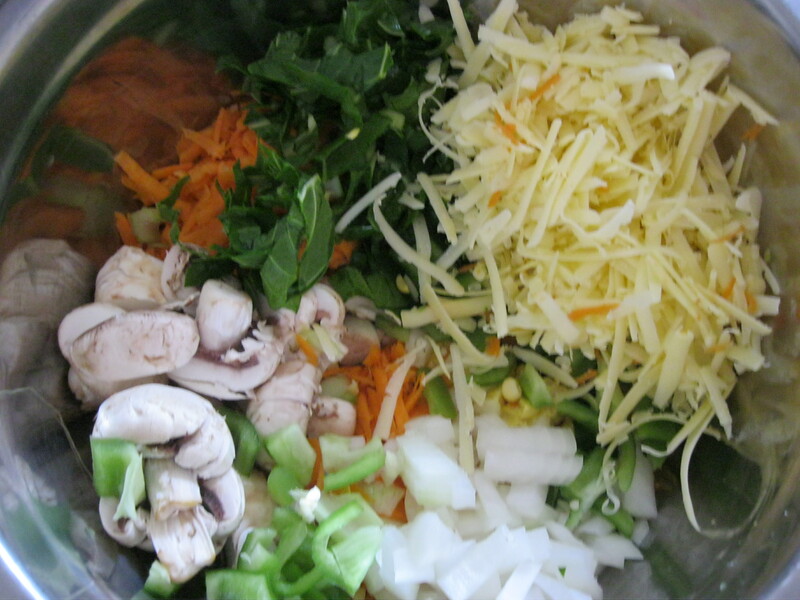 I like frittata because its easy, cheap, jam packed with vegetables and uses up things that are coming close to needing to be composted! Its a great recipe to avoid waste. When I make a frittata its never an exact science. I grate in whatever vegetables I have (that little tip was from a good friend of mine, as I used to chop and fry them, but I enjoy the grated vegetables in there), or if you have left over cooked vegetables you could use that too. 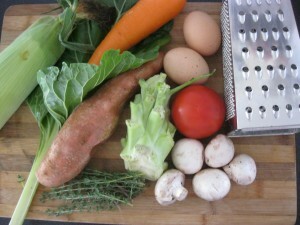 I always like to use sweet potato and thyme in my frittata as I like the flavor that these ingredients bring. 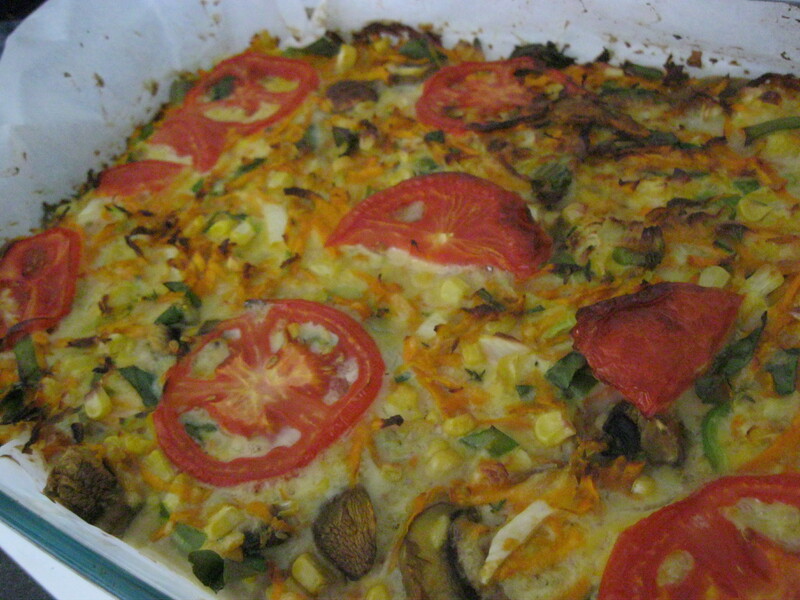 The great thing about Frittata is that you can use what you have left over. You simply change the amount of eggs and milk to use to just cover and bind all the ingredients together. Kids seem to love it too.